Woeful Nats: Do Or Do Not, There Is No Try: Nats Do! Do Or Do Not, There Is No Try: Nats Do! It was Star Wars day at Marlins Park but the Washington Nationals and Jedi-Master Stephen Strasburg refused to succomb to the Darkside of the Miami Marlins, blowing up the Miami Deathstar and shutting out the fish in a 4-0 game. Strasburg was as wise as Yoda, he was. Steve-37-PO gave up only 6 hits while striking out 7 through 6 innings in the shutout victory, pitching out of several jams on the day. Aside from being an amazing pitcher, Strasburg contributed at the plate again drawing a walk and hitting an RBI single in the 5th inning. The star pitcher is now batting .385 on the year in 26 at bats. 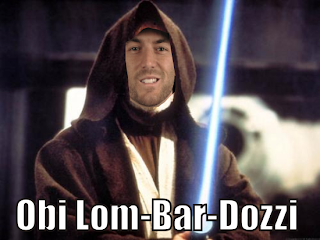 With Ian Desmond captured by Darth Maul, Steve Obi-Lom-bardozzi led the way with 2 hits and an RBI to continue his 8 game hit streak. Beastbacca even got in on the action with 2 hits and an RBI of his own. Bryce Harper went 0-4 on the day, but was once again a part of the game-story. In the 4th inning, Harper came up to bat and pointed his bat in a way which Ozzie Guillen (Darth Vader) took exception to. Guillen screamed across the field and past the umpire at Harper and Davey Johnson at one point yelling "F**k You Kid!" to the rookie (possibly). You can watch the video for yourself and decide. Tyler Clippard came in with a 4-0 lead in the 9th, gave up a single then threw 8 straight balls to start the inning with a bases loaded jam. 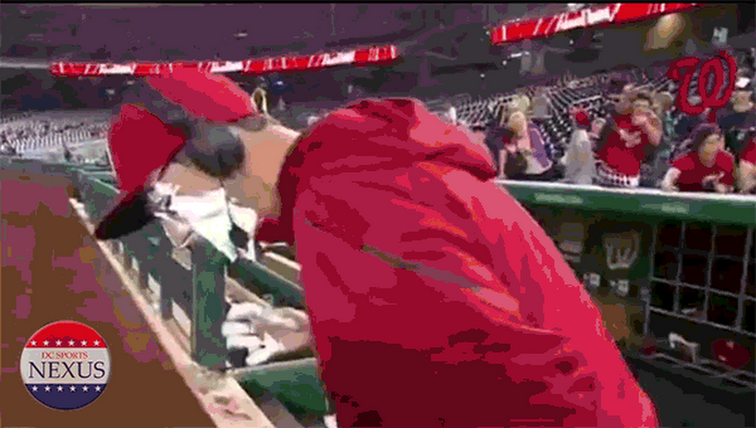 Clip escaped unharmed and the Nats picked up the W.
More on Ozzie-Gate will be discussed in the days and hours following. The Nationals finish up the series tomorrow night in Miami looking for the series win.